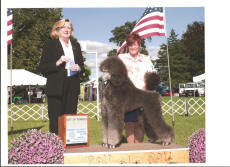 Devon is an Oona/Carter son born 11/7/2010. 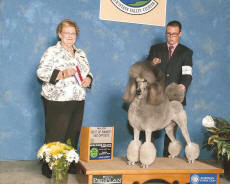 Best of Winners, September 17, 2011, Lehigh Valley Kennel Club, Judge Jean Fournier. 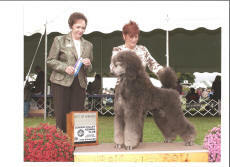 Best of Winners, September 18, 2011, Berks County Kennel Club, Judge Sari Teitjen. 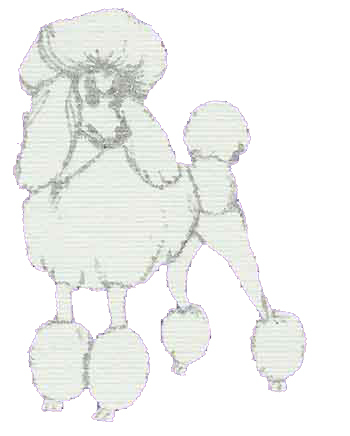 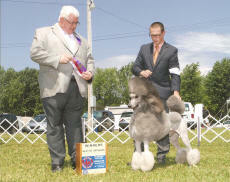 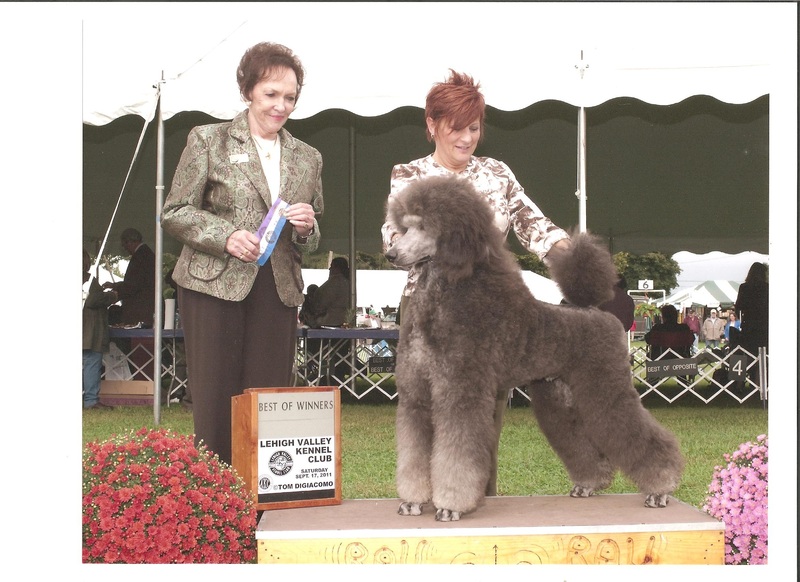 After a short puppy show career, Devon went out with Kirk Herrmann in July 2013 and got one point at Nita-Nee Kennel Club, on a very windy day. 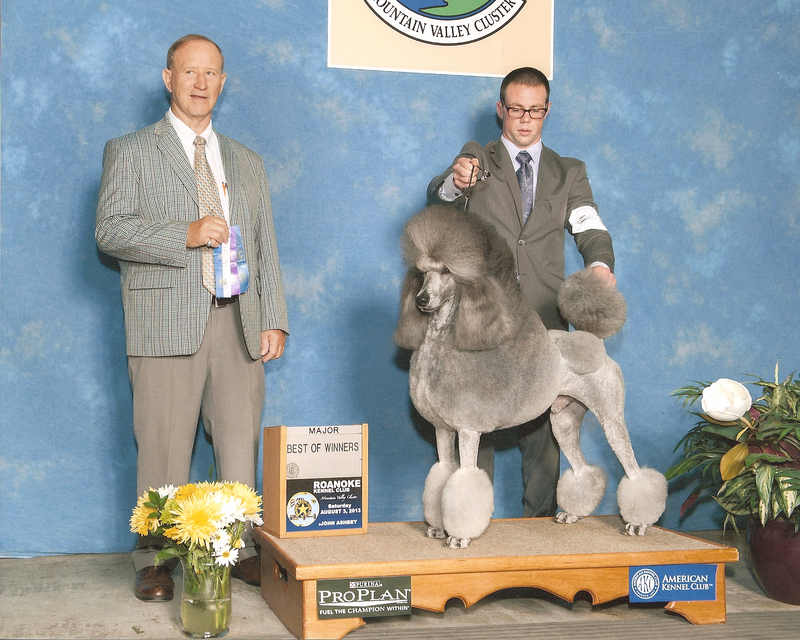 Then he went to shows in Roanoke, Virginia and won two days and got two majors. 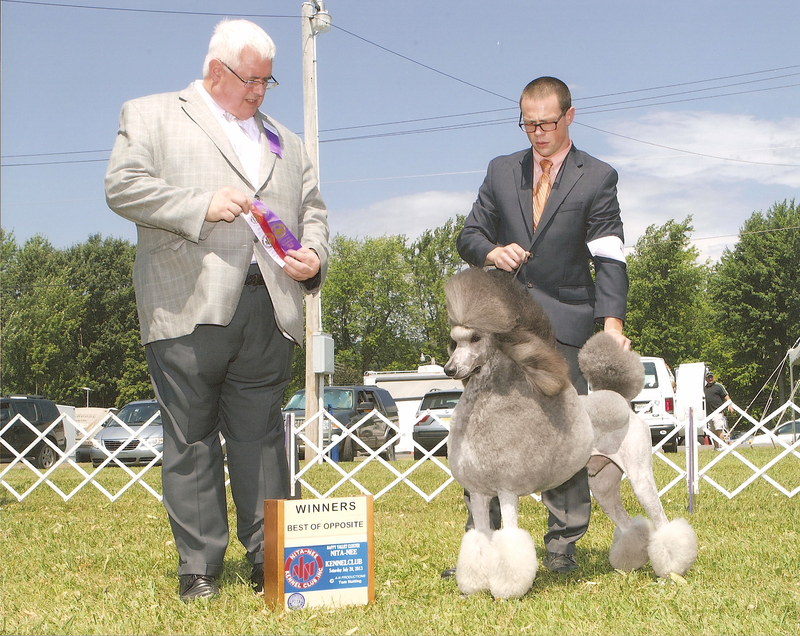 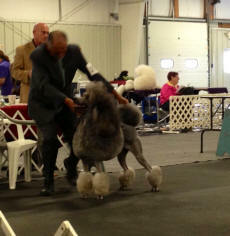 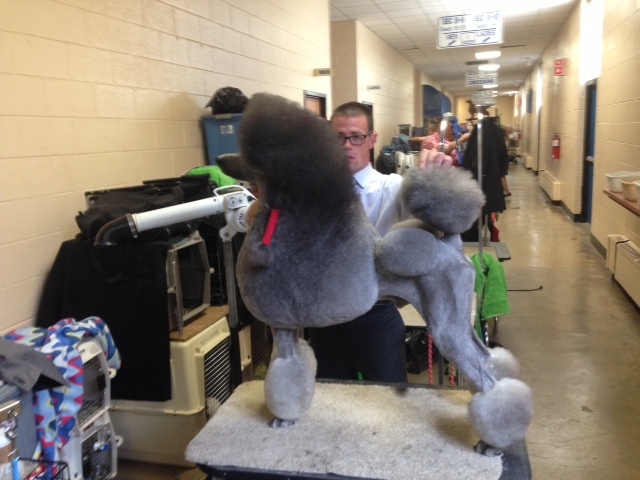 The first was 4 points at the Roanoke Kennel Club with Judge James Frederiksen. 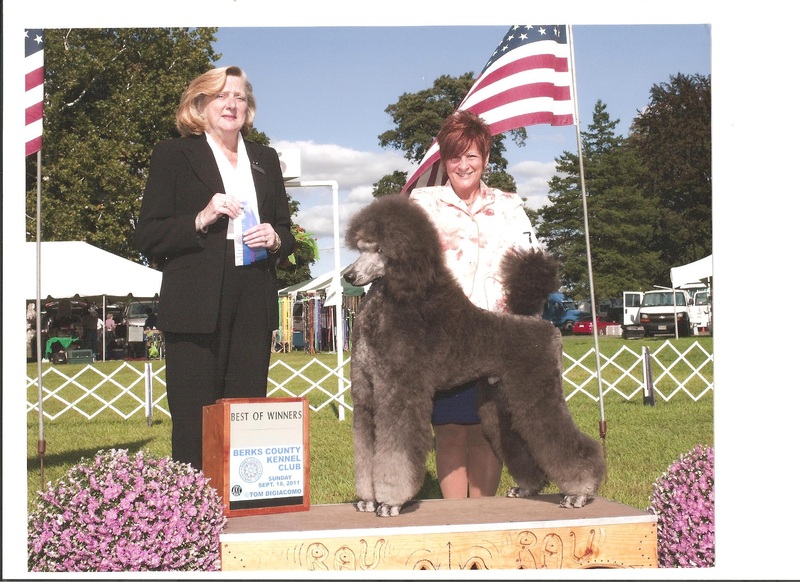 at the New River Valley Kennel Club with Judge Judy Webb. 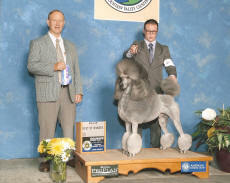 He then went to Alan Waterman who got another major and the win at Quinnipiac to finish his championship. Photo by Nancy Evans.